Ronnie Bedford, 83, a drummer and a member of Local 802 since 1955, died on Dec. 20. Mr. Bedford’s first break was in 1949, when he went on the road with Louis Prima’s band. After playing drums in the Army, he won a spot in the Benny Goodman Quintet, where he toured the world, playing before 10,000 fans in Central Park and filling the Royal Albert Hall in London. Mr. Bedford also played with Benny Carter, Morris Nanton and many others. He appeared at Jazz at the Smithsonian and performed onstage in at least two Broadway shows. In 1980, Mr. Bedford and his wife Janet came to Wyoming on vacation. The next year they taught music and art workshops there and began to dream of enjoying a new way of life. Mr. Bedford was ultimately hired by Northwest College in Powell, Wyoming as a percussion instructor. That led to a 25-year teaching career during which he helped found the Yellowstone Jazz Festival and earned the Governor’s Award for the Arts for his efforts in promoting jazz throughout the region. His greatest satisfaction was broadening the world of music for his students. Mr. Bedford is survived by his wife Janet, daughter Georgia, son Jason, son-in-law Jamie, granddaughters Thea and Stella, stepdaughters Kathy and Ruth Ahlers, and Ruth’s husband Jack. (Ruth Ahlers is also a member of Local 802.) A public celebration of Mr. Bedford’s life and music will be announced at a later date. Elmira Belkin, 76, a violinist and a member of Local 802 since 1976, died on Nov. 18, 2014. 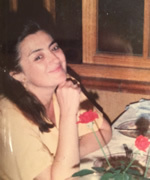 Ms. Belkin was born in the former U.S.S.R., where she was classically trained and earned the equivalent of a master’s degree from the Odessa Conservatory. There she performed with the Odessa Philharmonic Chamber Orchestra, Odessa Opera Theatre and Odessa Philharmonic Women’s String Quartet. When she arrived in New York City, she soon joined the Soviet Émigré Orchestra, an ensemble formed in 1979 by Lazar Gosman, who had been music director of the Leningrad Chamber Orchestra. During her career, Ms. Belkin performed with the Queens Symphony, Opera Orchestra of New York, National Grand Opera, Masterwork Chorus and Orchestra, Santa Cecilia Chorus and Orchestra, Tchaikovsky Chamber Orchestra, New York City Symphony Orchestra, Caramoor Summer Festival, White Plains Symphony Orchestra, Brooklyn Philharmonic Orchestra and many Broadway shows. She is survived by her daughter Alisa and granddaughters Renae and Ellie. Alvin Brehm, 89, a bassist, conductor and composer, died on Nov. 22, 2014. He had been a Local 802 member since 1948. During his career, Mr. Brehm played with the Contemporary Chamber Ensemble, the Group for Contemporary Music, the Philomusica Chamber Music Society and the Chamber Music Society of Lincoln Center. He also made guest appearances as a double bassist with the Guarneri, Budapest, Lenox and Manhattan Quartets, the Jacques Thibaud Trio, and many other ensembles. As a composer, he received grants from the National Endowment for the Arts, New York State Council on the Arts and the Naumburg Foundation, and earned commissions from the Lincoln Center Chamber Music Society, St. Paul Chamber Orchestra, American Brass Quintet, Y Orchestra and Philomusica. 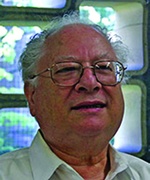 Mr. Brehm had served as chairman of the New York State Arts Council Music Panel and as dean of music at SUNY (Purchase), where he was professor emeritus. He is survived by his wife Alison, sons Jon and Marco, and nephews Stan, Henry, Steven, Bob, Eric and Bill and their families. Information from slippedisc.com and thestrad.com. 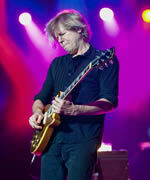 Jeff Golub, 59, a guitarist and a Local 802 member since 1981, died on Jan. 1. Mr. Golub was best known for his work with Rod Stewart, with whom he played from 1988 until 1995. He was also a member of Dave Koz & The Kozmos, the house band of The Emeril Lagasse Show. Born in Ohio, Mr. Golub was in his teens when he first heard a Wes Montgomery record. This moment reportedly set him on a whole new course that led him to study at Berklee College of Music. While in Boston, he played in the James Montgomery Band. Mr. Golub moved to New York in 1980, where his first major gig was with Billy Squier, with whom he recorded and toured. Mr. Golub released his first solo recording, “Unspoken Words” in 1988 for Gaia Records. During his career, he collaborated with Ashford and Simpson, Alphonse Mouzon, Kirk Whalum, Mindi Abair, Everette Harp, Peter Wolf, John Waite, Vanessa Williams, Gato Barbieri, Bill Evans, Rick Braun, Tina Turner, Dar Williams, Brian Culbertson, Gerald Albright, Henry Butler, Jon Cleary, Marc Cohn, Richard Elliot, Robben Ford, Sonny Landreth, Jeff Lorber, Peter White and Brian Auger. In 2011, Mr. Golub became blind due to a medical condition. A little over a year later, Mr. Golub fell on the tracks of a subway but suffered only minor injuries. He eventually succuumbed to a brain disorder called progressive supranuclear palsy. Edited from Wikipedia. Additional information from JazzTimes.com. 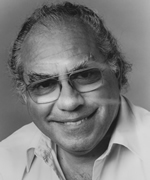 J. Hamilton Grandison, 88, a composer, choral director, conductor, pianist and singer, died on Dec. 15, 2014. He had been a longtime member of Local 802. Born and educated in Barbados, Mr. Grandison began his musical training with Gerald Hudson and Charles Daisley as a singer, composer, arranger, conductor and pianist. In 1948, he moved to the U.S. where he continued his training with Leviticus Lyons and Coleridge-Taylor Perkinson. For more than 50 years, Mr. Grandison performed in musical theatre, on Broadway, and as a chorister, lead singer and assistant conductor with the famed Leonard dePaur Infantry Chorus. With them he travelled around the world performing before heads of state, including Haile Selassie, and was knighted in Liberia by William V. S. Tubman. Later he became the musical director for the North Jersey Philharmonic Glee Club, which performed at the White House and at the National Cathedral. He worked with Irving Burgie, Jester Hairston, Woody Herman, Duke Ellington, Geoffrey Holder, Harry Belafonte, Earl Hyman, Honi Coles and members of the Dance Theatre of Harlem. 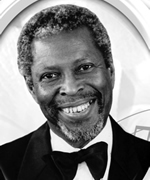 In 2008 he retired to Barbados with Betty, his wife of 36 years, and became a treasured member of the Barbados Jazz Society. In addition to Betty, Mr. Grandison is survived by his daughters Cynthia and Tracy, grandchildren Angel and Michael, and great-granddaughter Gabby. The family suggests donations to www.BarbadosPalliative.org. 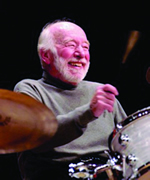 Howard Hirsch, 84, a percussionist and a Local 802 member since 1947, died on Sept. 23, 2014. Mr. Hirsch was the long-time percussionist for Judy Garland, performing such beloved songs as “Come Rain or Come Shine,” “Over the Rainbow,” and “I Can’t Give You Anything But Love, Baby.” His specialties were the timpani and the bongos. After spending two months as a P.O.W. in Korea in 1951, Mr. Hirsch escaped to Japan, where he learned to play various Asian instruments. He claimed to be the only American at that time permitted to play for the Japanese kabuki theatre. After returning to the U.S. in 1954, Mr. Hirsch quickly rose to become a prominent musician, playing percussion for artists like Danny Kaye, Richard Burton, Dean Martin, Sammy Davis Jr. and Frank Sinatra. Mr. Hirsch was proud that he performed in 60 different Broadway shows, from opening to closing. His music was featured in thousands of commercials since 1954, as well as hundreds of Hollywood films. He also taught as an adjunct lecturer at Lehman College, where he had earned a master’s degree in 1983. In 2006, Mr. Hirsch appeared at a ceremony at Carnegie Hall where the U.S. Postal Service debuted its 39-cent Judy Garland stamp. The stamp was the 12th in the postal service’s “Legends of Hollywood” series. Mr. Hirsch was presented with a gold medal by the postal service for his years of dedicated service to Garland. Mr. Hirsch is survived by his son Joseph, who would love to hear from any of his father’s friends or colleagues. Call him at (347) 357-9952 or e-mail him at TR864366@gmail.com. Harold Jones, 80, a flutist, conductor and music educator, died on Jan. 12. He had been a Local 802 member since 1960. At age 16, Mr. Jones was already a member of the Chicago Civic Orchestra. He came to New York in 1955 and was awarded a scholarship to Juilliard, where he earned the Outstanding Woodwind Player award. Mr. Jones studied with Marcel Moyse and in 1966 made his New York recital debut at Town Hall. 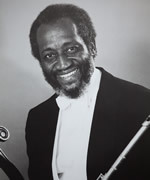 During his career, Mr. Jones soloed with the American Symphony Orchestra, Brooklyn Philharmonia and National Orchestral Association among many others. He was a founding member of the Symphony of the New World, the first fully-integrated professional symphony orchestra in the U.S.
Mr. Jones appeared in festivals and recitals all over the country and performed in numerous Broadway shows. Over the years, he recorded or performed with Paul Robeson, Odetta, Miles Davis, James Taylor, Meat Loaf, Ornette Coleman, Betty Carter, Harry Belafonte, Luther Vandross, Leon Bates and Peter Segal. He also recorded the Vivaldi flute concerti for the Library of Recorded Masterpieces. His students included Eric Dolphy, James Moody, Lloyd McNeil and Yusef Lateef. Mr. Jones taught at the Westchester Conservatory of Music, Manhattanville College and Brooklyn College. He also served as president of the New York Flute Club from 1976 to 1979. In 1994, Mr. Jones founded the Antara Ensemble, whose mission was to bring a wide range of classical music to culturally diverse neighborhoods of New York. Mr. Jones is survived by his wife Wanda, siblings William Jones, Zelia Morelon, Sylvia Jordan, Alice Tucker, brother-in-law Willie, sons Ernest, Louis and Antar, daughters-in-law Victoria, Toni and Marie-Cecil, and grandchildren Emmanuel, Roland and Willow. Also see “The men with the satin voices” in this issue. Diane Leslie, a classical pianist, singer, composer and actress, died on Aug. 25, 2014. She had been a longtime member of Local 802. Ms. Leslie was born in Pittsburgh, where she performed as a teenager as a soloist with the Pittsburgh Symphony and won the Pittsburgh Concert Society Award. In the following years, she toured America, playing such legendary concert halls as Alice Tully Hall and Steinway Hall, and was pianist in residence for UNICEF. In addition to her tremendous mastery of classical works, she had a unique crossover style, infusing classical compositions with pop and jazz undertones, highlighted by her successful album “In My Mind,” released in 2006. In 2010, Ms. Leslie was named a Steinway Artist. 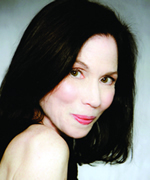 Ms. Leslie garnered worldwide attention for her award-winning compositions for stage, film and television, including her original composition of the infectious theme song for the 1980s sitcom “Small Wonder.” Ms. Leslie was an accomplished singer and actress, and had a successful career in the voice-over industry, lending vocals to such legendary ad campaigns as Nair and Clairol, and the classic ABC production of “Pinocchio’s Christmas,” in which she portrayed the Snow Queen. Ms. Leslie earned her master’s degree in piano performance from NYU, where she served for years as an adjunct faculty member. 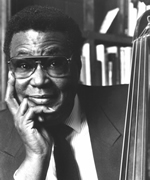 Christopher Wesley White, 78, a bassist and music educator, died on Dec. 2. He had been a member of Local 802 since 1983. Mr. White did it all. He played with Dizzy Gillespie, Nina Simone, Billy Taylor, Duke Ellington, James Moody, Hazel Scott, Carmen McRae, Sarah Vaughan, Chick Corea, Eubie Blake, Mary Lou Williams, Jimmy Owens, Kenny Barron, Gordon Edwards, Oliver Lake, Vic Juris, Ceil Brooks III and Lou Caputo, among many others. He developed a music notation system for rap music for Sugar Hill Records. He served as the jazz editor for Da Capo Press and as the editor of the Black Perspective In Music journal. He earned a master’s of education from the University of Massachussets. Mr. White had a great talent for organization and served as the first executive director of Jazzmobile, the first executive director at Rutgers’ Insitute of Jazz Studies, the project director of the Newark Community Schools of the Arts, and the music chair of the Creative Arts and Technology department at Bloomfield College, where he designed and taught the undergraduate program. This is just a small sample of the many programs that Mr. White founded or directed throughout his career. Mr. White is survived by his wife Laurena, daughters June and Alexandra, sons Christopher and Bashari, sons-in-law Charles and William, and grandchildren Charles, Jayden and Mitchell. A musical tribute to Mr. White will be held April 13 at Montclair State University in the John J. Cali School of Music building at 7 p.m. The family suggests that donations may be made in the name of Mr. White to www.Jazzmobile.org, www.JazzHouseKids.org and www.Jazzfoundation.org. Wilmer Wise, 78, a trumpeter and a Local 802 member since 1970, died on Jan. 30. Mr. Wise’s professional career took off when he began a five-year stint as the Baltimore Symphony’s assistant principal trumpet in 1965. That same year, he also joined the Symphony of the New World, the first fully-integrated professional symphony orchestra in the U.S. Mr. Wise also toured Europe as first trumpet in the Marlboro Festival Orchestra under Rudolf Serkin, and played on the ensemble’s famous recordings with cellist Pablo Casals. One of the first jobs Mr. Wise got upon moving to New York in 1970 was with the American Symphony under Leopold Stokowski. He soon became a first-call trumpeter on Broadway, playing lead trumpet in more than 30 shows. Mr. 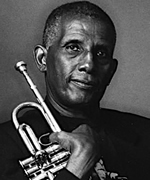 Wise also played lead trumpet on the only recording of “West Side Story” conducted by Leonard Bernstein, as well as on many of Philip Glass’ movie soundtracks. His most long-lasting job was as the Brooklyn Philharmonic’s principal trumpet, a position he held for more than three decades until his retirement in 2003. During his career, Mr. Wise also performed with the New York Philharmonic, Philadelphia Orchestra, Placido Domingo, Weather Report and even the Jackson Five, among many others. Mr. Wise taught trumpet at Morgan State and Peabody Conservatory. Mr. Wise is survived by his wife Edith and his stepson Ken. Mr. Wise’s career was much too rich to condense into this short space. For more, see “Remembering Wilmer Wise” and “The men with the satin voices” in this issue.